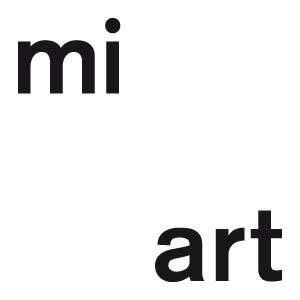 Curator Alberto Salvadori has selected Richard Saltoun Gallery to exhibit in miart's Decades, a section dedicated to each decade of the 20th Century. The 1970s was a decade defined by new ways of political and personal expression, and Richard Saltoun will present works by artists who made the body as their point of reference in exploring these new aesthetics of expression. Titled Body Art & Performance, the exhibition has been curated by Paola Ugolini and will showcase a unique selection of works by artists using performance as their primary medium. Featuring works by: Claudio ABATE (b. 1943, lives in Rome); Marina ABRAMOVIĆ (b. 1946, lives in New York) & ULAY (b. 1943, lives in Amsterdam and Ljubljana); Helena ALMEIDA (b. 1934, lives in Lisbon); Renate BERTLMANN (b. 1943, lives in Vienna); Trisha BROWN (b. 1936, lives in New York); Helen CHADWICK (b. 1914 – d. 2003); Rose ENGLISH (b. 1950, lives in London); VALIE EXPORT (b. 1940, lives in Vienna); Simone FORTI (b. 1935, lives in Los Angeles); Françoise JANICOT (b.1929, lives in Paris); Fried KUBELKA (b. 1946, lives in Vienna); Ketty LA ROCCA (b. 1938 – d. 1976); Pierre MOLINIER (b. 1900 – d. 1976); Luigi ONTANI (b. 1943, lives in Rome); Gina PANE (b. 1939 – d. 1990); ORLAN (b. 1947, lives in Paris); Yvonne RAINER (b. 1934, lives in Los Angeles); Suzanne SANTORO (b. 1946, lives in Viterbo); Carolee SCHNEEMANN (b. 1939, lives in New York); Jack SMITH (b. 1932 – d. 1989); Jo SPENCE (b. 1934 – d. 1992); Hannah WILKE (b.1940 – d. 1993).